Whether we’re talking about commercial or residential buildings, energy efficiency is on everyone’s minds. Not only do we want to lower our carbon footprints, but we’d also really love to lower our heating and cooling bills. Did you know that the average American household spends over $2000 a year on utilities? Lowering that amount by even 20% could put an extra $200 per year back in your pocket. So, let’s discuss how your roof could help you save money every month and decrease your carbon footprint by making your home more energy efficient. Good insulation is essential for keeping your home cool in the summer and warm throughout the winter. If that climate controlled air is leaking out of your home, your air conditioning and heating system will be working overtime to keep you comfortable. That means higher monthly bills, and it means that you’re going to have to pay for more maintenance and repairs to your HVAC equipment, as it is constantly working. Your roof can help or hurt your attic insulation, depending on the materials it’s made of, its color, and what state of repair it’s in. A dark-colored roof that absorbs heat from the sun will pull that heat into your insulation. Now, your insulation acts as a barrier between the temperatures outside and the air inside, but it can only do so much, especially with your roof working against it. A lighter colored roof made of heat-reflective material is going to help you out a lot. Furthermore, if your roof is in disrepair, air and water will leak in through cracks and holes. Water leaking into your insulation will damage it and promote the growth of mold and mildew. So, if your roof is damaged, not only will you have to deal with inefficient insulation, but you’ll also have air quality problems. When it comes to roofing and energy efficiency, as we just discussed, you’ll want to make sure that your roof is in good repair, but that’s not all. Different roofing materials have different advantages and disadvantages. Again, as we said before, darker materials that absorb heat from the sun will make your air conditioning system work harder in the summer. That’s not the only consideration when it comes to materials, though. You have a lot more choices than you might think, too. In addition to traditional shingles, you can choose from clay, slate, or concrete tiles, concrete, membrane roofing, or metal roofing. Tiles are attractive, versatile, and highly weatherproof. They’re also easily coated with heat-reflective material for use in warmer climates. Membrane roofing is great for flat roofs or roofs with very shallow angles. They’re heat-reflective and require little maintenance to stay weatherproof for years. Metal roofing is a great choice for areas prone to harsh weather, as it’s very durable and can also be heat-reflective, too. 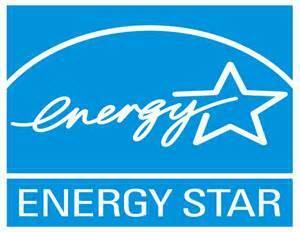 If you’re having trouble deciding, check out the Energy Star rating on the roofing materials you’re thinking of. Energy Star is a system that the Environmental Protection Agency has implemented to help consumers and businesses inform themselves on the energy efficiency of different products and systems of all kinds. It’s been estimated that an Energy Star approved roofing system could decrease your cooling system’s workload by 10-15% at peak demand times. An energy efficient roof will also help keep heat in during the winter. That means big savings on your utilities bills all year round. Your roof may not be the first thing you think of when you think of reducing your energy costs, but replacing it with one that’s more energy efficient could save you a lot of money in the long run.